Few things in life are more romantic than that of a winter wedding held outside of the usual wedding season. Crisp air, warm fires, rich colors, and maybe a soft blanket of snow. A beautifully pristine background for a beautifully pristine love. The mere thought of such an event makes the heart go pitter-patter. The cool temps can bring their style-related challenges for everyone from the bride (she’ll need a winter appropriate wedding dress!) to that second cousin’s plus-one. 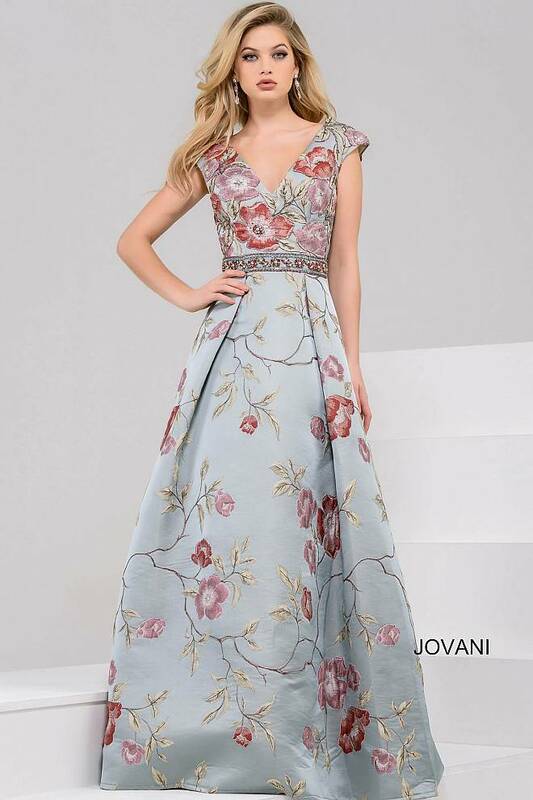 They also bring opportunity to find a unique perfect dress as you witness someone’s big day. They allow for a bevy of new materials, sleeve lengths, and silhouettes that would be out of place at a spring or summer scenario. This gives you the chance to wear a different type of formal dress. Pastels are sweet, but deep scarlet – now that’s a shade that will get the blood pumping. Cotton is comfortable but hardly packs the same fashion punch as a heavy velvet. In today’s post, we highlight five of our most coveted styles to wear as a winter wedding guest. Write in the name of your plus-one and mark your meal choice on the RSVP card. Then, read on for some wedding guest attire inspiration. Velvet. Need we say more? This irresistibly rich fabric has made a strong resurgence. It has appeared on runways from New York to Paris. It’s quickly becoming the piece of the season. This opulent fabric is one of our favorites to wear because of its luxurious feel and obvious elegance. It’s being done in every shape from trousers to hair ribbons. However, we will always love it most in a glamorous gown form. That includes our Navy High Neck Cap Sleeve Velvet Dress. The polished high neckline is balanced by an alluring low round back. Lace cap sleeves flutter delicately against the shoulder. An abbreviated train is just long enough to make a statement, without becoming cumbersome. A slim stiletto will look both exquisitely feminine and lift this formal dress so the train just lightly skims the dance floor. Hair can be worn long in smooth curls or pulled back low against the neck with a middle part. This hairstyle will act as a sophisticated accent against the high neckline. For makeup, stay in the romantic mood with rose-hued cheeks, a deep glossy lip, and faint smokey eye. Go straight from wedding to reception in this ladylike gown. This frosty blue-hue sends a shiver of appreciation down our fashion-loving veins. The color favored by gorgeous ice queens, it has that beautifully aloof thing down pat. We love this particular style for wedding wear. Particularly because it’s made incredibly approachable by exquisitely embroidered florals in a warm color palette. Plus the embellished waistline and bodice will add a little twinkle to your dance floor twirl. Cap sleeves on the bodice and inverted pleats at the skirt bring feminine structure to the floor-skimming silhouette. We recommend styling the design with a round toe pump or ballet flat. Add a floral clutch to complete your look. A shimmery lavender shadow will complement the arching floral embroidery. It will serve as a subtle yet effective contrast to the gown’s icy base hue. Sparkling stones in your jewelry picks will enhance the wintry vibe, imitating the twinkle of snow’s reflection. The deep V-neckline makes a very pretty frame for a delicate mid-length necklace. Make a powerfully feminine statement in this beautiful gown’s distinguished gunmetal hue. The sophisticated cousin to standard black, gunmetal makes a striking impression at every event. An impression that will be aided and abetted by this particular style’s entrancing design. Impeccably crafted from intricate floral lace and fitted through mid-thigh, our Gunmetal Sleeveless Lace Evening Dress accentuates curves. It’s crafted in the most flattering of ways and gets an eye-catching finish from a softly draped short train. Match the scalloped trim of the bodice with Old Hollywood waves, complete with a side part. Wear a comfortable heel you can dance in. You’ll want to do a lot of turning and twirling to showcase the ravishing open back. We love it with an ankle strap sandal – open-toed with a single slim strap across the toe box. (This is also an excellent way to flaunt your pedicure.) Accessorize with strong, architectural metal jewelry to complement the gunmetal effect. This will also contrast the classic femininity of the gown’s silhouette. This luxe style is very easy to say yes to. Sumptuous embellishment lends our Navy and Gold off the Shoulder Beaded Long Dress an air of opulence. One that’s befitting a fashion queen such as yourself. It’s impossible not to make an entrance in this regal gown. The intricate lace construction features ornate patterns that will draw many an eye your way. It will keep those eyes on you as they take it all in. Fitted through the upper thigh, the womanly silhouette follows your curves until it gradually extends into a short train. Play up the splendor with jewel-encrusted pump or strappy stilettos and jewel-toned accessories. We love the drop earrings pictured here, with their coordinating navy blue stones. Feel free to indulge in a plethora of cocktail rings. Stick to a neutral-toned manicure to keep the attention on the dress. A loosely swept side ponytail will look lovely against the strapless bodice. Try a cat-eye liner to accent this stylish hair look. Top the best-dressed guest list in this winter wedding look. This timeless design is an instant classic. It’s rich and has an elegant gothic look. It’s tough to get away with sleeves in the summer. Take advantage of the cooler season with our Black Fitted Evening Dress’s sophisticated three-quarter sleeves. The ponte knit bodice has a very grown-up appeal, accented by the heavily embroidered, textured skirt. The embellishment seen in the wide waistline continues in the skirt’s beaded details, to elegant effect. The high waistline is so flattering so many body types. The column silhouette always creates a statuesque profile. We recommend enhancing this with sky-high heels and full volume hair. Use a bit of smoothing cream in your hair to give your side-parted tresses a polished finish. Modernize the ensemble by mixing things up a bit in your accessories. Slim hoop earrings and architectural bangle bracelets offer an intriguing twist on the expected.